Every year, around this time new food trends take over the headlines, and people share what we should be eating and looking for in grocery stores. But let’s be real for a hot minute. “Crickets?” No! “Motherless” Meat? No, thank you? 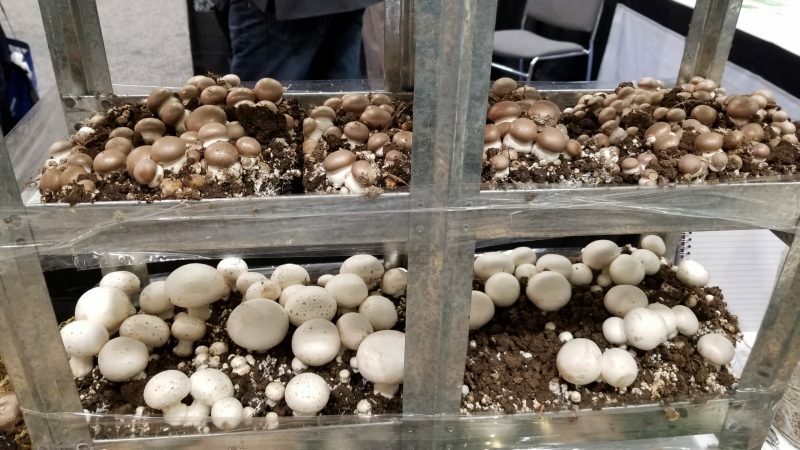 Earlier this year I wrote about the Top 5 Big Food Trends of 2019. It was after that post when I received tons of questions that I started writing this tome. 2500 words of what started out as a simple list of top foods that are good for us and also taste good. This is food that my kids actually eat and I include in my cooking every day. Healthy and Popular Superfoods: the “Will My Kids Actually Eat this” version, in alphabetical order. 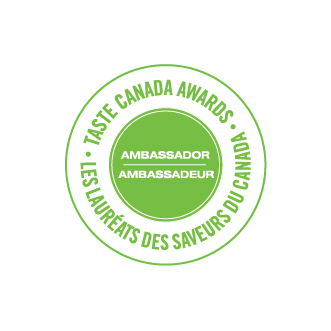 Aaahh-vocado – this trendy food has been on top of all the”it” lists for two years. But kids are rarely, if ever, early adopters of anything food-related. Even though I’ve been eating avocado toast in front of them for a while, it’s only recently that they started noticing this odd-looking vegetable. One day, out of the blue my oldest became a fan. Not my younger one though, or my mom for that matter but baby steps, right?! I add little salt and something crunch to bring out the flavour. HealthWise: Avocado is dense in nutrition and a little goes a long way. It’s high in fibre, potassium, Vitamin K and C. But it’s main claim to fame is the high quantity of monounsaturated fats. 77% of this food is all good, heart-healthy fats (the same that is found in olive oil) that our bodies need for healthy development. 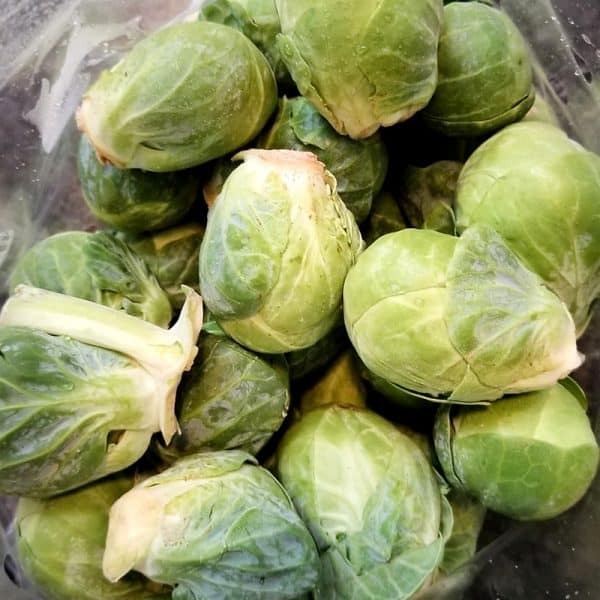 Brussels Sprouts have a bad rap. Kids call them stinky and soggy but that changes if you cook these cute little veggies right! I have a trick that I shared here on the blog. 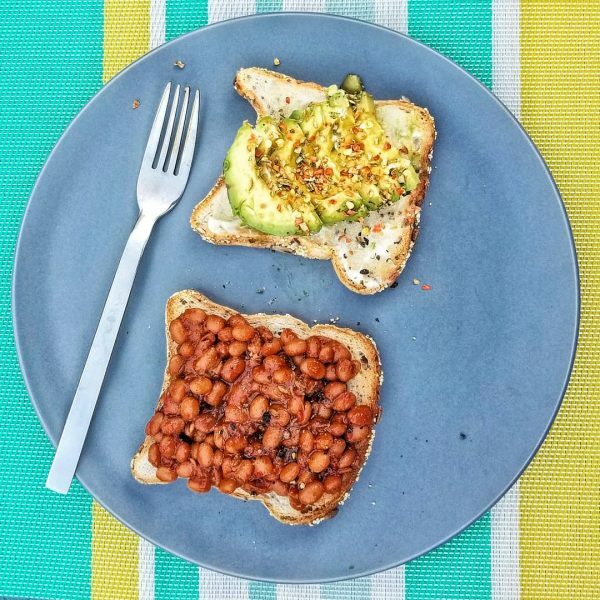 This is a very popular post for good reason – we are all trying to feed our kids right! HealthWise: Brussels sprouts and cabbage look very similar and come from the same family of cruciferous vegetables. They are rich in vitamin K and C and are high in antioxidants. These qualities promote iron absorption, immunity and are necessary for blood clotting and bone health, all very important for growing kids. I’m just glad to have found a way to push these on to my kids. This humble seed is one of the most nutritional foods on the planet, and till recently I thought it was only for trendy hipsters. Boy, was I wrong! Chia are tiny black crunchy seeds that soak up liquid to become gelatinous and pudding-like. People blend them into smoothies but since we haven’t really taken to the smoothie trend, pudding it is. For breakfast! That’s how you pull the kids in. 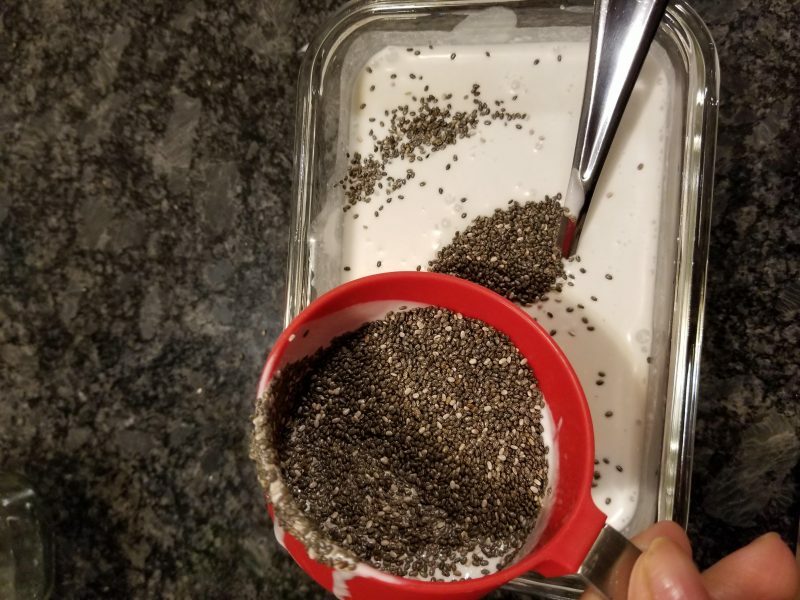 A couple of tbsp of chia and two cups of liquid – the ratio should be 4+:1 depending on how liquid-y you like it. I have tried this with coconut milk and regular, stirred with vanilla and nuts, or cocoa and maple syrup and granola on top. It is delicious and healthy and your kids will love it. Chocolate chips help! My kids will eat anything with chocolate in it. This humble and delicious legume is originally from the Middle East but has taken over the world and our dinner table. 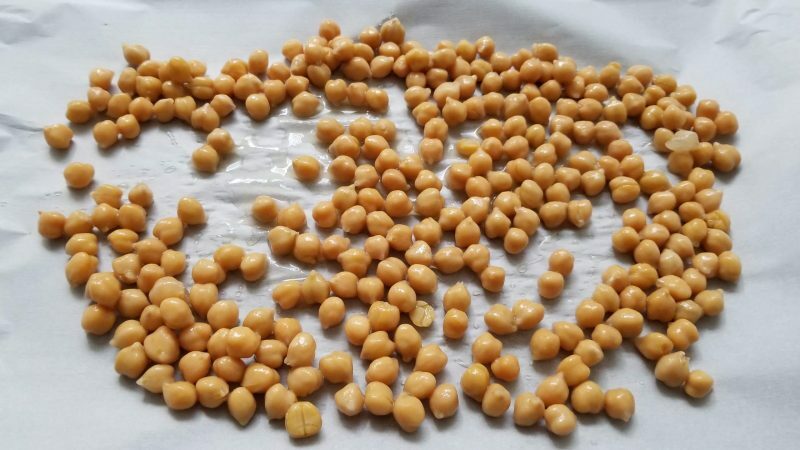 Also called garbanzo bean, chickpeas are a pantry favourite with me because much like lentils they are stored dry and stay for months and years. My kids love chickpeas as-is or in stews, hummus, biryani etc. 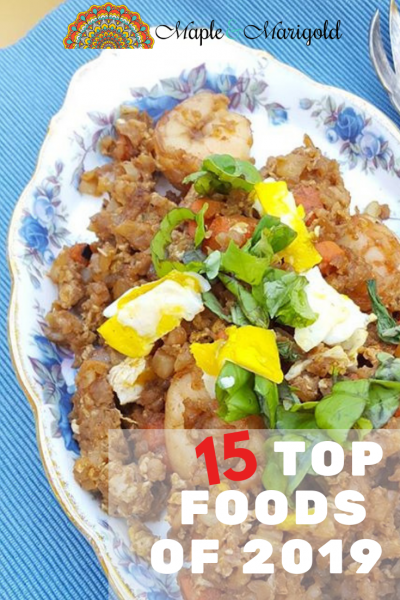 I make a big batch in my Instant Pot pressure cooker on Sundays and add them in various meals during the week. Chickpea flour (besan) is another favourite. It’s a good replacement for other flours and has a grainier, nuttier flavour. It takes little longer to cook, but tastes yummy, especially in foods that are baked, fried or steamed. Basically everything! HealthWise – high in fibre, rich in vitamins and minerals these little powerhouses are rich in protein and oh so good for you. Growing up I was never a fan of coconut. My mom used to make the best coconut macaroons but despite everyone saying they were the best things they had ever tasted, they weren’t for me. 30 odd years later – coconut is one of my favourite flavours. I think I may be turning into my mom, but that’s a story for another day. 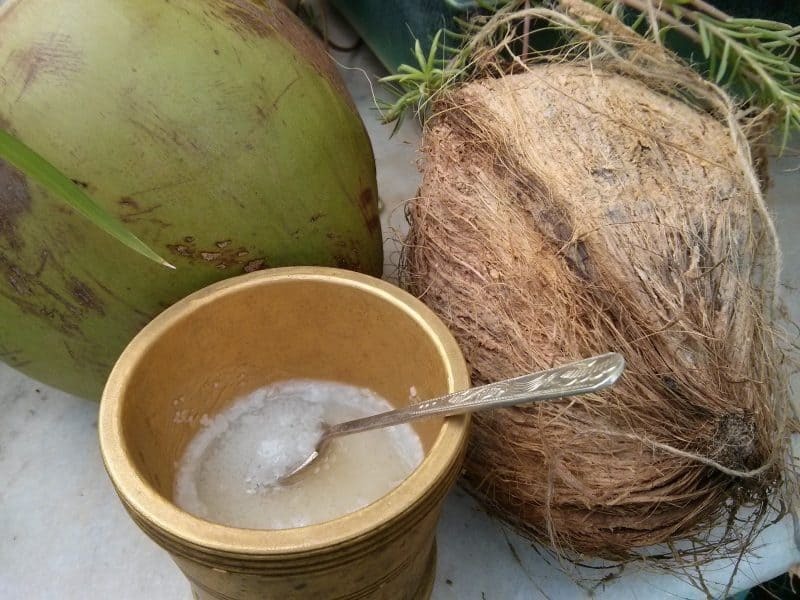 I use coconut oil in South Indian and Thai cooking, the milk goes in curries and stews, in baking and dessert, and the water is refreshing anytime of the day. HealthWise: Coconuts are highly nutritious and rich in fibre, vitamins C and E and a host of B’s, along with minerals including iron, selenium, sodium, calcium, magnesium and phosphorous. It’s of course not dairy and can be used as a milk substitute. 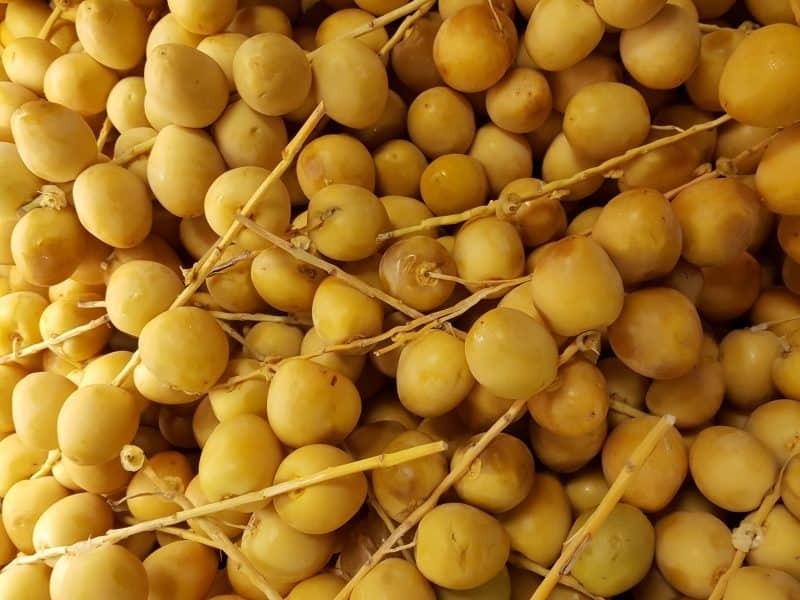 Date is fruit of the date palm tree. Originally from the Middle East, these ordinary-looking lumpy fruit are commonly found as dried fruit in the rest of the world. Occasionally you may see dates in their original form – golden and fabulous. Like so many other things, I’ve accepted the dried, wrinkled version. HealthWise: Dates are nutrition-rich fruits even in their dried form. They are high in fibre, vitamins and minerals. Their main claim to fame though is the magic they yield for regular poops. If you have kids you know how obsessed a mom can be with all things poop. I add a handful of chopped dates in a ton of stews, curries and my kids’ favourite, chana masala. Dates soften with hot water or with cooking and add their nutritional benefits along the way, so toss them in. What can I say about eggs? Superfood, yes! Delicious, yes! My youngest is picky about them though and will eat only the yolk but baby steps, right? HealthWise: Eggs are on all the superfood lists because of their well-rounded nutrition profile. Along with being dense in nutrition like vitamins, protein and minerals, eggs are also easy to transform into delicious dishes They are cost-effective and their carbon-footprint – suffice to say the planet will thank you. Research has gone back and forth on the yolk over the past few decades but I follow what my granddad used to tell us – eggs, the white and yolk come together so they are meant to be eaten together. He also used to say eating fruit without the peel is a big mistake. Common sense advice! What’s new about lentils? They’ve been around for ages, right? But they remain on top of every trendy food list. Lentils are a nutritional powerhouse and a lifesaver in many ways. They last for a long time in the pantry, can soak up big (any and all) flavours, and are a big source of protein. HealthWise: Lentils rich in protein, high in iron, fibre and other vitamins and minerals. Iron is of huge benefit for kids and I have learned this the hard way. I was deficient in iron most of my childhood and my mom tried very hard to feed me liver and kidney dry curry as often as she could? Just eat lentils – they contain almost half the daily recommended intake of iron. Yup, Popeye should have been eating daal! Here are a couple of favourite recipes from my blog. 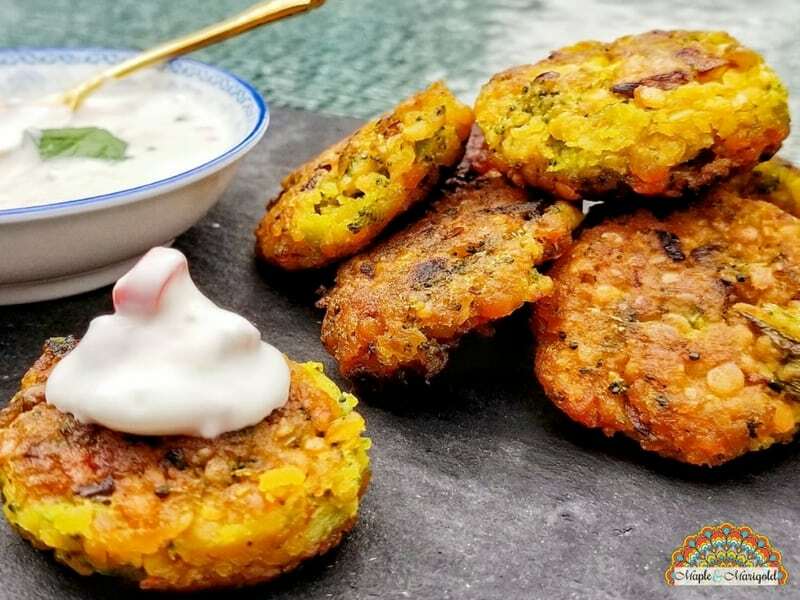 Lentil fritters and moong daal soup, perhaps together, yum! You wouldn’t think a fungus would be oh so exciting, now would you? This brown and white all-season fungus is really quite unique in flavour, texture and nutritional benefits. My mom makes a mean mushroom curry that you have got to try to believe. Along with curry, you can cook mushrooms on their own or chopped in keema and taco meat. Kids don’t notice the difference and you are adding all the benefits of a vegetable. HealthWise- The nutritional benefits of mushrooms really set this veggie apart. Part of the reason why these are unique is due to the circumstance of its growth – out of waste and in the dark. Mushrooms are rich in vitamins – B in particular plus copper and selenium. Mushrooms also have protein, fiber, potassium, antioxidants, vitamin D, calcium, and more. Powerhouse, yes! Pistachios are delicious and my kids will eat them any time of the day. These little portable snacks are also in the news right now. People way cooler than me are calling it the “world champion” of snacks. I’m just glad they have a mild taste vs. other nuts and are popular with picky eaters. HealthWise: Pistachios are small, greenish purple seeds – yup, not a nut! They are heart-healthy, high in fibre, rich in antioxidants and vitamins and come in a variety of flavours. They are best eaten roasted and/ or lightly salted. I generally buy them plain and then roast along with a sprinkle of tandoori masala for a little bit of kick. 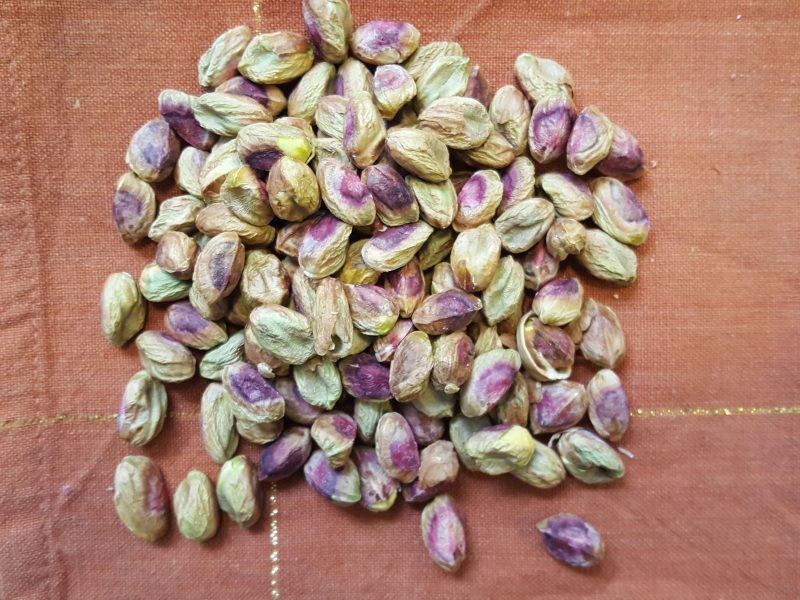 In addition to making a great snack, pistachios are great for baking and cooking and add crunch and colour to various dishes. 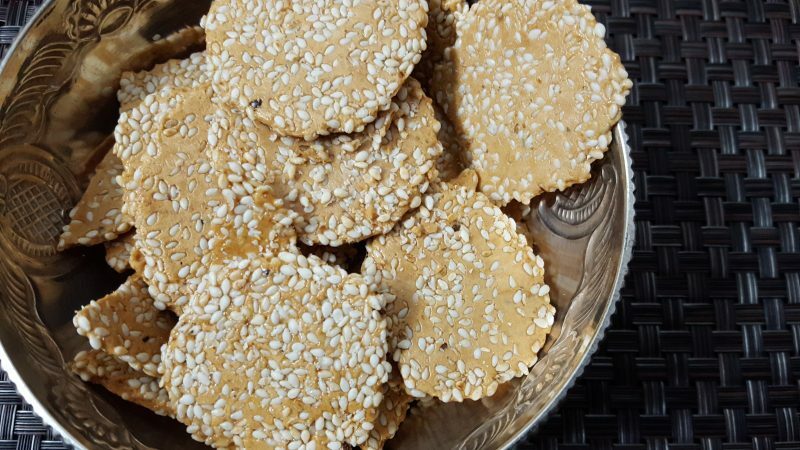 Sesame seeds are tiny, flat oval seeds with a nutty taste and a delicate aroma and crunch. They come in a host of different colors – white, yellow, black – the ones I use most often (at all) are the white ones. I’ve started to add these in curries and stir-fries and Indian sweets, and as tahini in baked goods and hummus. HealthWise: Growing up in India sesame was a staple during the winter season. It’s been known to warm the body up and is often advised for people who feel more cold than others. It’s high in copper, manganese and calcium and also adds a nutty flavour without the use of nuts. It is considered an allergen for many though so watch out..
Sweet potatoes are a fantastic superfood and on many trendy lists this year. I often replace regular potatoes with these pink cubes. Baked, sauteed or fried, sprinkled with brown sugar, or along with cumin seeds (zeera) the possibilities are endless with sweet potatoes. HealthWise: These potatoes are higher in vitamin A and C, fibre and tons of flavour. 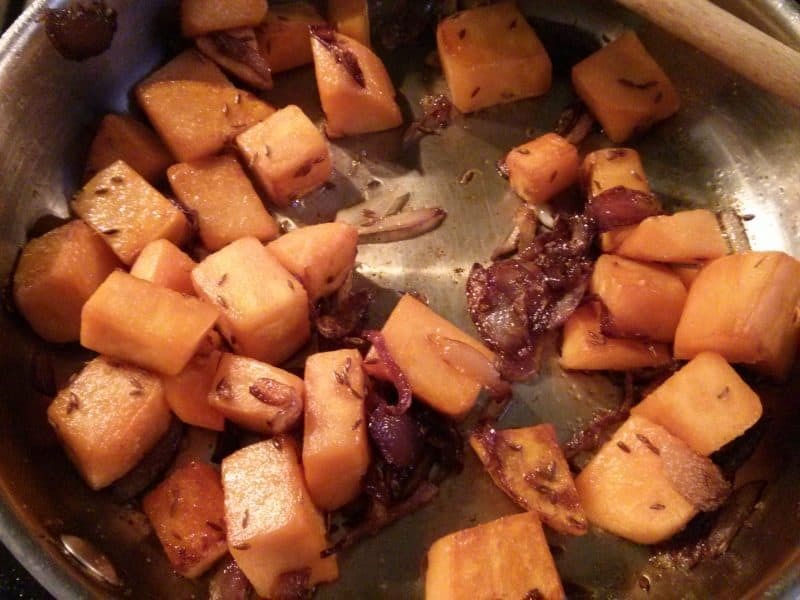 I cannot think of ANY reason why sweet potatoes should not be a star of your dinner table. Turkey is an oft-overlooked protein especially amongst people who aren’t familiar with it growing up. People like me! I always thought turkey was complicated to cook with. I’m so glad I was wrong. It’s easy, robust and absorbs big spicy flavours very well. I’ve even tried a number of traditional Indian recipes using turkey instead of mutton and I find it’s faster to cook. I also love that we can switch out red meat in keema for turkey, it’s healthier and as rich in protein and flavour. 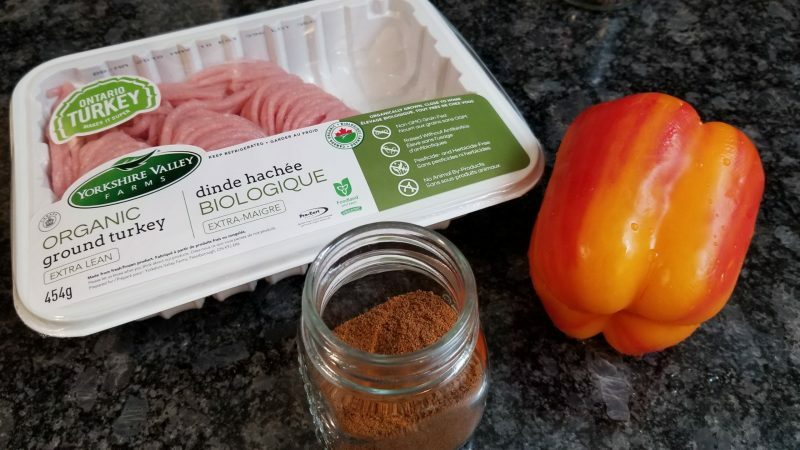 HealthWise: Turkey comes chock-full of protein, vitamins – D and B in particular – and minerals that are needed for healthy bodies and brain development. Turkey meat is rich in Vitamin D that people of South Asian origin tend to be deficient in. My favourite benefit though is that turkey is rich in both tryptophan and selenium that have been found to be good for lowering anxiety. I can definitely do with some of that. 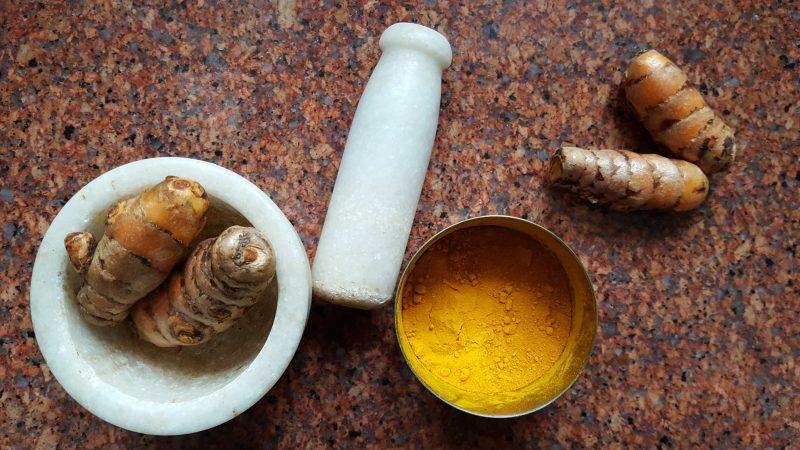 Turmeric is everywhere. On every superfood list and on the grocery shelves, in hot beverages and cold, curries and stews, all for good reason. Turmeric is popular for a reason. Ancient Ayurvedic wisdom says so and so does my mom, and that’s good enough for me. My kids have got used to golden grilled chicken, yellow mashed potatoes and for my youngest chocolate haldi – turmeric and chocolate lollipop that is easy to make and feels like a treat one that you can have every day. HealthWise: the main molecule in Turmeric – curcumin – is known for it’s healing properties and it’s anti-inflammatory properties. This spice has been used for centuries as an alternative treatment for a variety of illnesses and medical conditions. So add turmeric to your cooking tonight, dishes that need 15 mins + of cooking time, in marinades and roast veggies, heck even your smoothies. There’s no judgement here. Dairy often gets a bad rap. 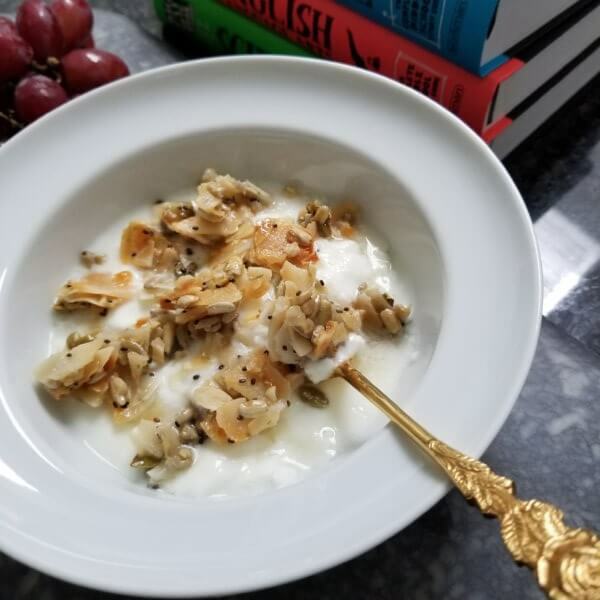 Much like green veggies, kids think yoghurt is “boring.” I grew up in India where a bowl of dahi (yoghurt) was mandatory at every meal because it helps to cut through the heat of spices. But yoghurt is a nutritious, blank canvas and works with so many other flavours. It can be eaten as is, with sweet or savoury, in a bowl or a glass, the possibilities are endless AND you don’t have to eat curry. HealthWise: Yoghurt is fermented dairy and by itself is tangy, rich in VItamin B and D, probiotics, calcium, and even protein. One of my resolutions this year is to make my own yoghurt – people do it and claim it’s quite easy. I’ll let you know how I progress 🙂 In the meanwhile eat yoghurt – plain if possible and pick the brand that has active cultures. I hope you liked this exhaustive list. As usual, moderation is key. There are other foods like nuts, salmon, chicken that my kids love that are good for us and taste fabulous but I kinda tapped out at 15. I’m planning my next post though. What are your thoughts? 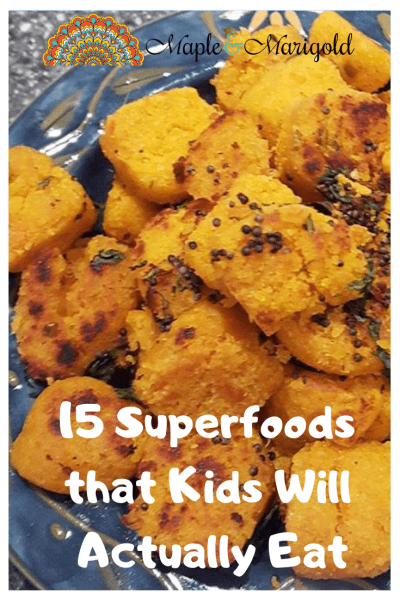 Do you have a favourite food that your kids eat that is fabulously healthy too? Share here or on Facebook! Let’s chat.